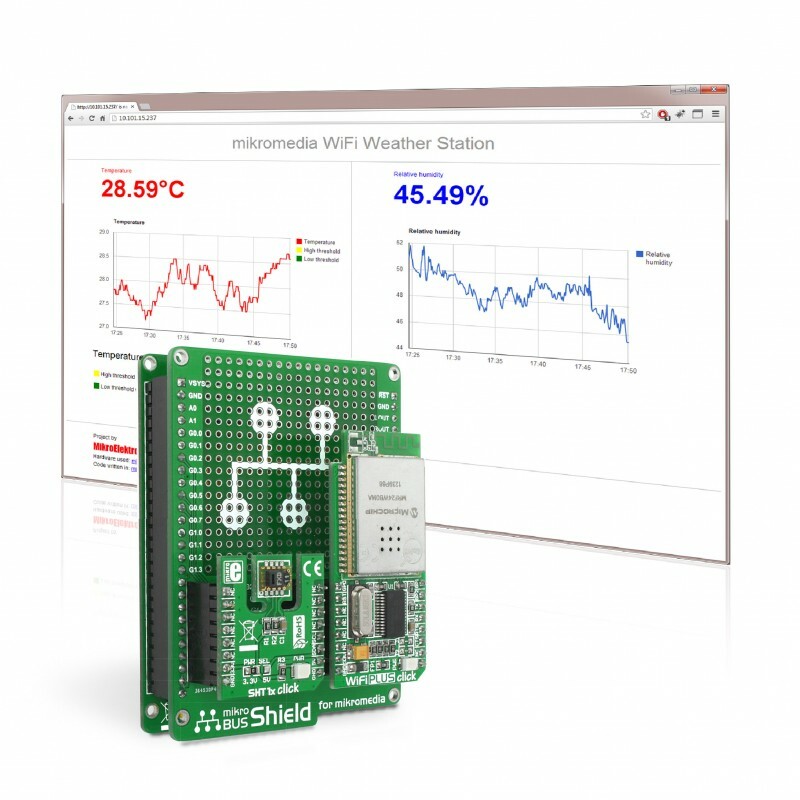 A battery powered mikromedia WiFi weather station. The touchscreen displays temperature and humidity values, but you can track live data from any device within your WiFi network from a web browser— the STM32 MCU hosts a whole webpage with readings presented in graphs. Also, you can set the MCU to trigger actions when threshold values are reached. SHT11 Click is an accessory board in mikroBus™ form factor. It includes a digital humidity and temperature sensor SHT11. WiFi PLUS click is a compact solution for adding WiFi communication to your project. The click features MRF24WB0MA – 2.4GHz, IEEE std. 802.11 - compliant module from Microchip, as well as MCW1001 companion controller with on-board TCP/IP stack and 802.11 connection manager.